A bow tie that will certainly help you be the "chick magnet" that you are! This 100% silk Chick Magnet bow tie by Alynn Neckwear will add just the right touch of sty... read more A bow tie that will certainly help you be the "chick magnet" that you are! 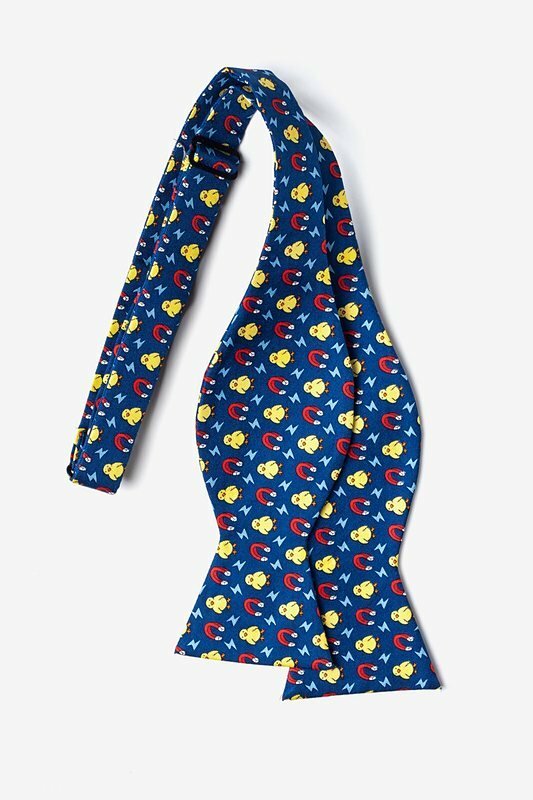 This 100% silk Chick Magnet bow tie by Alynn Neckwear will add just the right touch of style and comedic flair to your look. Alynn Neckwear is famous for providing handsome, finely crafted novelty ties. 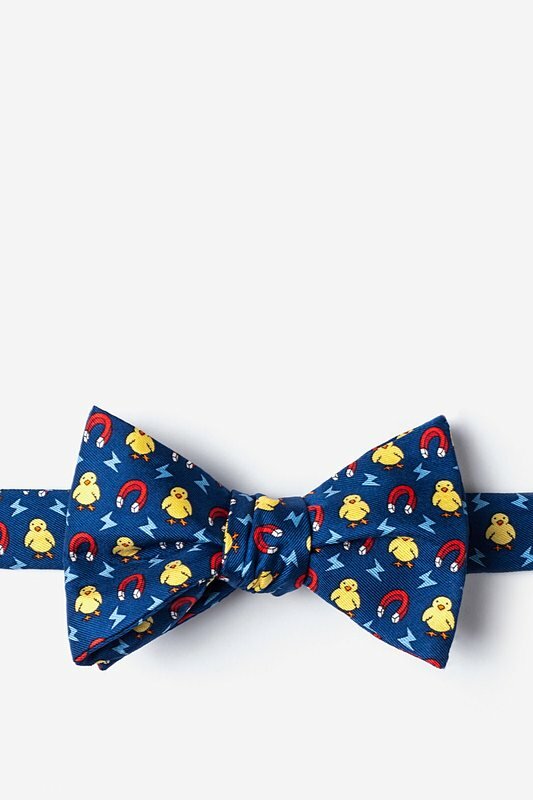 This bow tie features an array of baby chicks and magnets atop a navy blue background.